Tube specification: 4 * 3/8" & 4* 1/2"
hydraulically driven bending heads found in many competitor's units. control and manual actuation of all machine functions. reached, hydraulic clamps lock in place to prohibit drifting. Please contact us if you need any more detailed information. Looking for ideal Auto Hairpin Bender Manufacturer & supplier ? We have a wide selection at great prices to help you get creative. 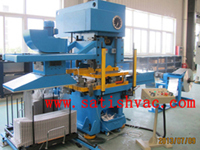 All the Automatic hairpin bender are quality guaranteed. We are China Origin Factory of Hairpin Bender Machine. If you have any question, please feel free to contact us.